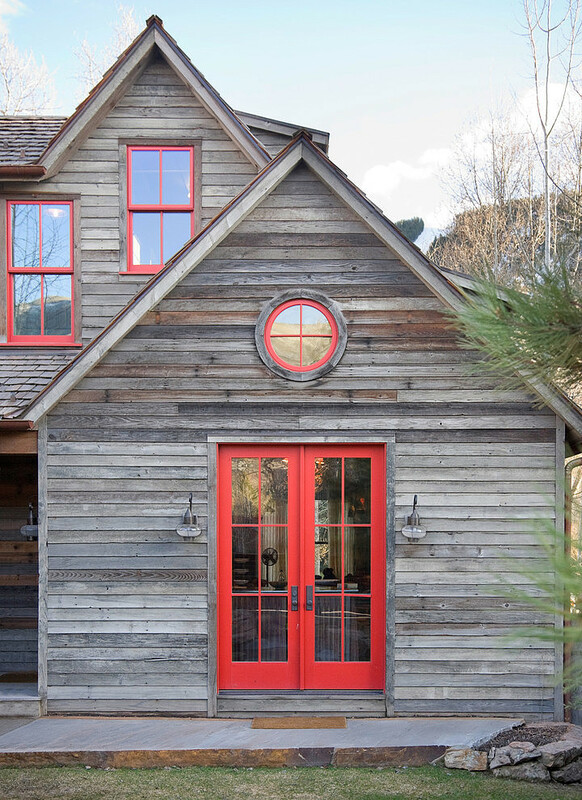 Loving the red trim on this farmhouse! Gah. I'd love to live here. I know you all have seen Dabito's fabulous home makeover. It's such a dreamy space. Plants, antique rugs, and that fabulous yellow door! Yes, please! Aww! That blue trim against the lovely white walls and cabinetry! The pop of color works perfect with the patterned tile floor. Via domino.